The breathtaking view over the Asia's World City skyscrapers photograph was taken from The Peak circle which is located on Lugard Road on Victoria Peak, Hong Kong Island. It's about 100 meters from the Peak Tower, some 400 meters (1,300 ft) above sea level, the road is a popular walking path that forms part of the Hong Kong Trail, and is known for the spectacular vistas over Victoria Harbour. The photographic spot is one of the popular attractions in Hong Kong for both local and foreign people, especially for photographers. 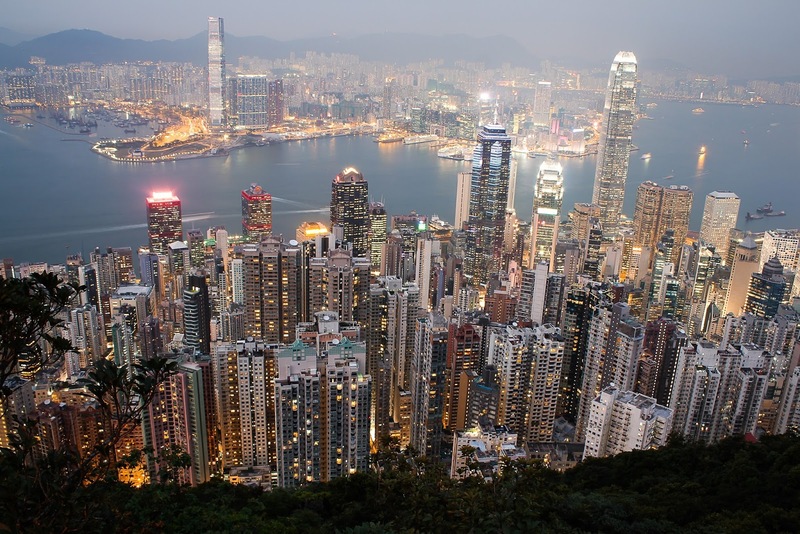 If you are a tourist or plan to visit Hong Kong in the future, don't miss the attraction.